Turtle Inn is a true labor of love. Less than a year after Francis and Eleanor Coppola acquired this beachside refuge in 2001, it was swept out to sea by the forces of Hurricane Iris. Turning disaster into triumph, the Coppolas led a two-year reclamation project, creating a magnificent resort that is consistently ranked among the best in Central and South America. This 25-room seafront hideaway combines natural wonders with luxury style. Accommodations are in individual thatched cottages, decorated with handcrafted Balinese furnishings and naturally cooled by the ever-present sea breezes. Just steps beyond your private deck, the white-sand beach dissolves into the clear Caribbean ocean. In addition, two swimming pools offer a choice of freshwater and saltwater bathing. Mare Restaurant- Fresh seafood and traditional Italian cooking come together at Turtle Inn’s flagship restaurant. 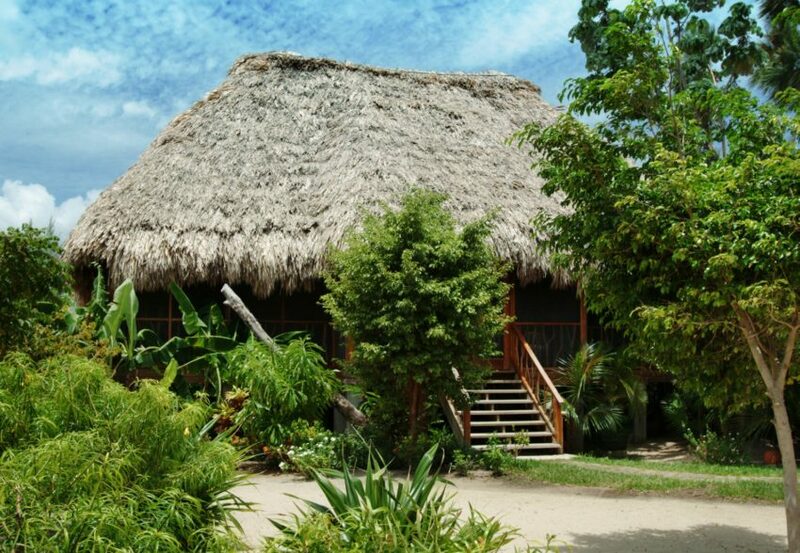 Auntie Luba’s Kitchen- ur own authentic Belizean diner, Auntie Luba’s, overlooks the calm, shallow waters of Placencia Lagoon. Skip White Bar- the Skip White Bar displays antique microscopes used by Skip and his marine biology students. 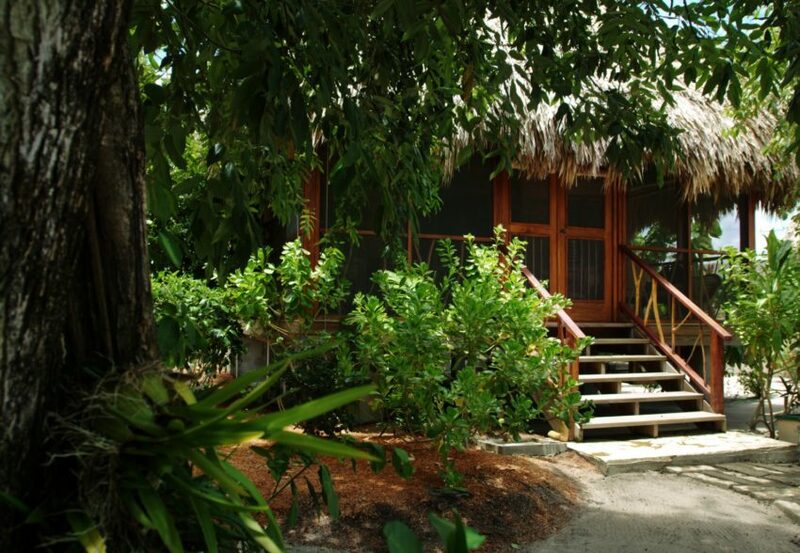 Nestled in our lush gardens and a few paces from the Caribbean Sea, each Garden View cottage has a private screened porch, spacious bathroom with Japanese bath, and private walled garden with outdoor shower. All rooms feature Balinese hand-carved doors and décor. With a partial view of the Caribbean Sea, each poolside cottage has a private screened porch, spacious bathrooms with Japanese bath, and private walled garden with outdoor shower. All rooms feature Balinese hand-carved doors and décor. With a partial view of the Caribbean Sea, each Seaview cottage has a screened porch, spacious bathrooms with Japanese bath, and private walled garden with outdoor shower. All rooms feature Balinese hand-carved doors and décor. 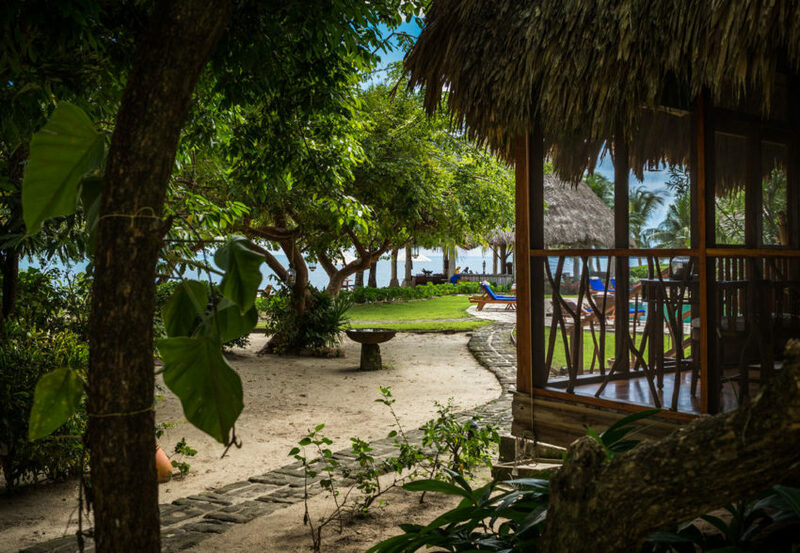 Just steps from a beautiful stretch of beach and the Caribbean Sea, each cottage has a private garden with outdoor shower, screened porch and bathroom with Japanese bath. All rooms feature Balinese hand-carved doors and décor. 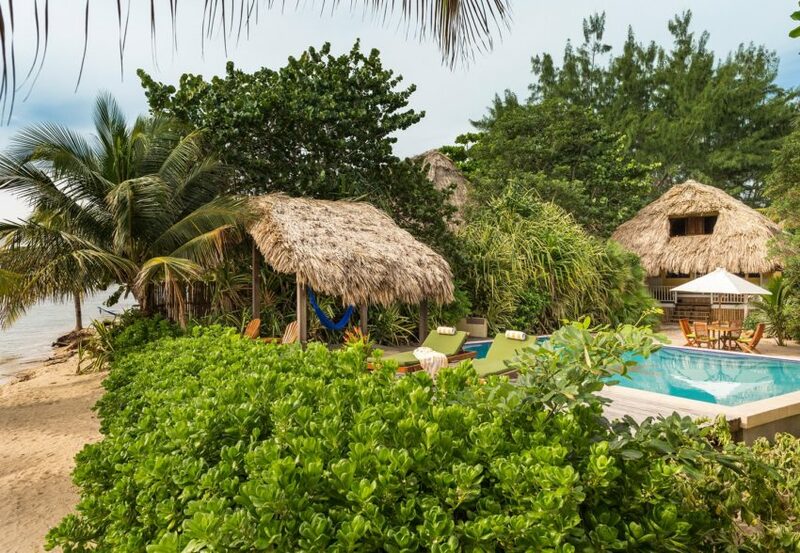 Nestled in our lush gardens and a few paces from the Caribbean Sea, these 2-bedroom/2-bath villas provide luxurious proportions with living room, separated seating areas, and extended screened porch. Each is surrounded by private walled garden with outdoor shower. All rooms feature Balinese hand-carved doors and décor. 2 bedroom, 2 bathroom villas with private entrance. swimming pool, dining terrace and pavilion attendant. This exclusive Balinese-inspired pavilion is designed to maximize privacy and is located at the southern edge of the property, surrounded on three sides by a high walled garden. 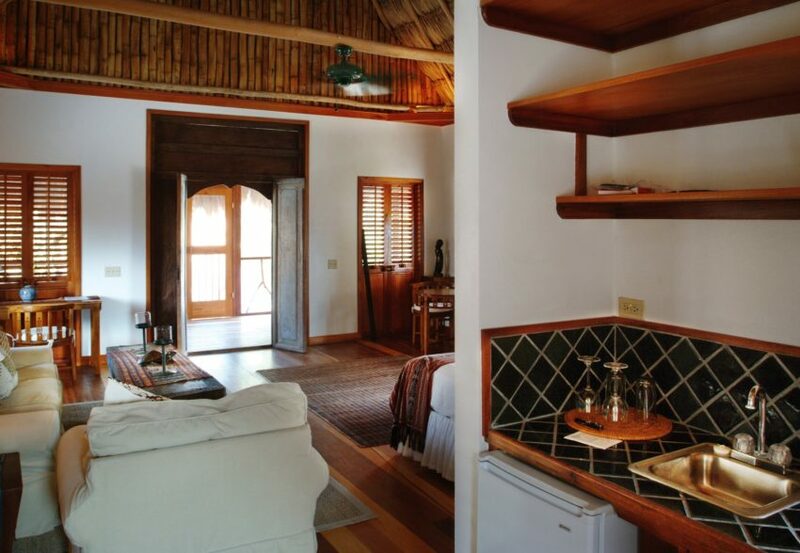 There are two bedrooms with en-suite bathrooms and a third loft bedroom accessed by a bamboo ladder. The Pavilion features antique hand-carved wooden doorways and detailing, stone sculptures, and artwork selected by Francis and Eleanor Coppola. The two spacious bathrooms feature indoor showers and in addition one of the bathrooms incorporates a luxurious steam room. Beyond the airy bathrooms are private walled gardens with outdoor showers. Between the two bedrooms is a living area and screened porch with comfortable sofas, writing desk and wet bar area with Delonghi espresso machine and fridge. Overlooking the pool is an open air, thatch-roofed dining terrace with unbroken views over the beach to the Caribbean Sea. Below the dining terrace is the private pool crafted with original tile art and surrounded by a tropical walled garden. Guests at the Pavilion also enjoy monogrammed bathrobes and wine glasses, locally produced organic bath products, goose down or hypo-allergenic pillows, iPod docking station, WiFi Internet access and a Shellphone intercom system linked to the resort’s front desk. The Pavilion also has a full time attendant to anticipate your every need. The attendant is on call using a walkie-talkie radio system. The Beach House is a one-of-a-kind modernist-tropical hideaway just steps from the Caribbean Sea, which shares a beach and all the luxury amenities of Turtle Inn. 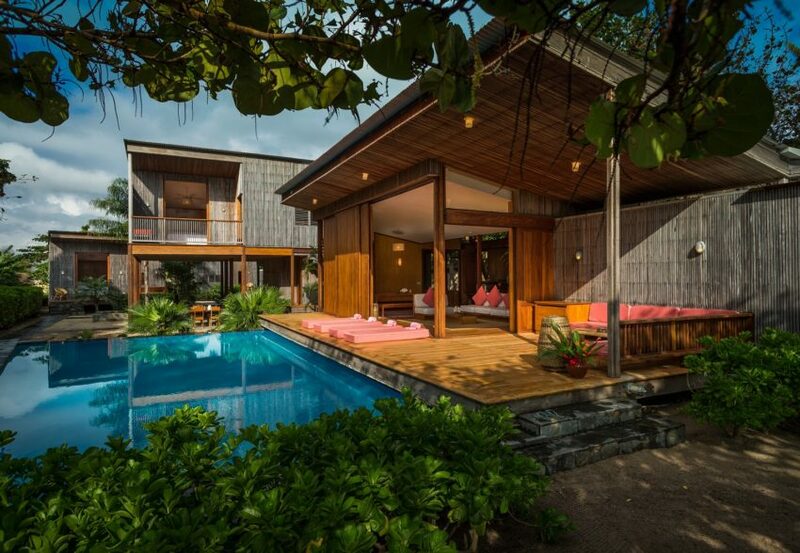 Designed by architect Laurent Deroo as a stylish but soothing getaway, comprising an open-plan main house and two guest bungalows, the Beach House opens to the ever-present sea breezes while connecting to the romantic, Balinese-styled resort it adjoins. Special features of Sofia’s Beach House include a full kitchen, an open-air living and dining room perfect for a few couples or a family’s enjoyment, a seafront media room ideal for a late night movie or board game playing, and a full bathroom on the main floor. The second floor master bedroom has a king bed with private bathroom and adjacent children’s bedroom (with bunk beds suitable for children up to age 14). 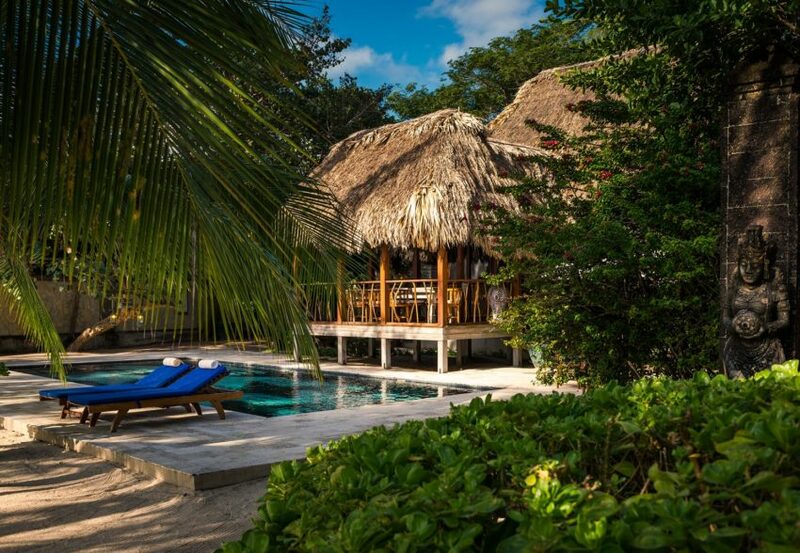 The Beach House also provides bicycles, private butler, private entrance, a private pool, and outdoor barbeque. 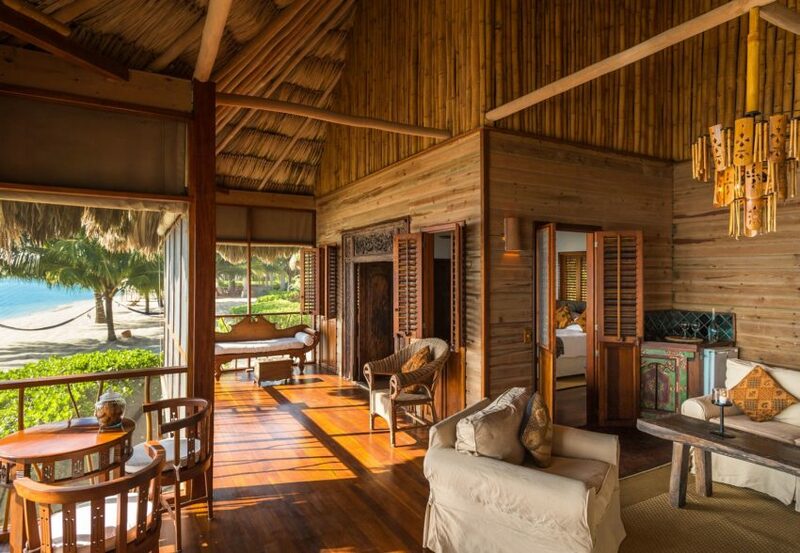 The two guest houses each feature one king bed, en-suite bathrooms, and decks. Feel as if you are staying in your own private seafront home, fully equipped with a kitchen, living room, full bathroom on the main floor, and two air-conditioned bedrooms. Each bedroom has a queen-size bed, and there’s a shared bathroom on the second floor. 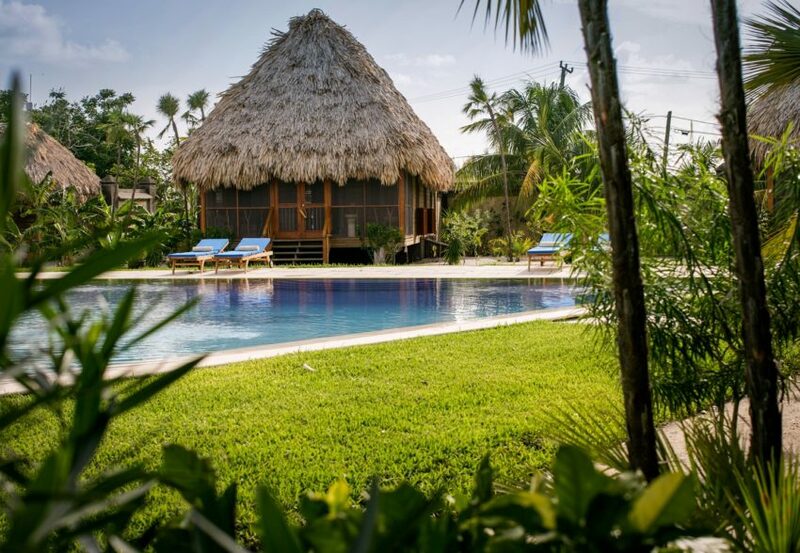 The Starfish Cottage at our luxury beach hideaway in Belize is ideal for families or two couples traveling together. The cottage also features a private deck and swimming pool. 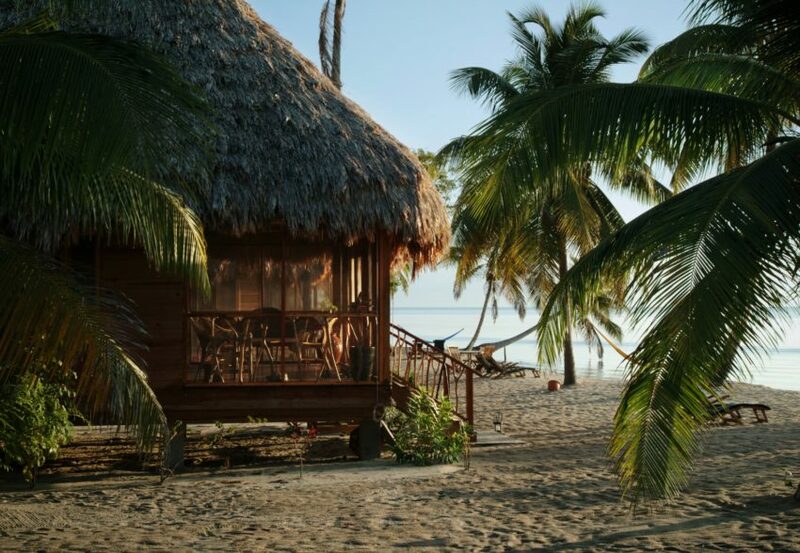 Special additions can be added such as a private butler to attend to your every need, a golf cart for drives into Placencia, or even a private yoga class on your deck.